The usual pre-Diwali fireworks was missing on the Dalal Street this year, but stock market traders can easily take heart from the relatively strong performance equity markets unleashed since last Diwali when Samvat 2072 started. 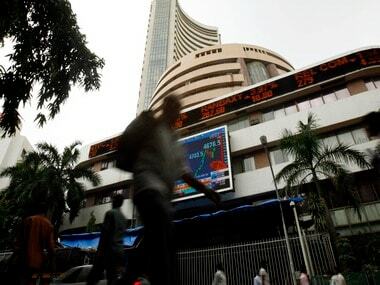 Since then, the 30-share BSE benchmark Sensex has clocked return of 8.5 percent after the last trading session of Samvat 2072 ended on Friday. The Mahurat trading for Samvat 2073 will begin this Sunday (30 October ) as traders remain optimistic about the strong undercurrent in equity market performance going ahead. The rebound in equity markets comes after a disappointing performance in 2015, when the Sensex ended Samvat 2071 with a negative return on 3.9 percent after weak monsoon, lack of reforms and persisting dismal corporate earnings show weighed on sentiment. Despite the recovery in markets this Samvat year, the performance is nowhere close to the robust 26 percent surge registered by the benchmark index during Samvat 2070 in 2013. Coming back to this year's rally, the upbeat mood in the market was buoyed by multiple factors ranging from the passage of key reforms such as GST, Bankruptcy code and recovery in monsoon after two back-to-back drought in previous two years. To give a perspective, every 7 out of 10 stocks traded ended with gains. Buoyed by strong foreign fund inflows, investors lapped up several large-cap stocks in the Sensex pack, besides showing a huge appetite for a host of mid and small-cap scrips as well. During the year, foreign institutional investors pumped in Rs 40,240 crore while domestic institutional investors infused Rs 20,010 in local equities. Metal counters were the star performers with Hindalco Industries surging nearly 87 percent over the previous Samvat year, while Tata Steel vaulted 82 percent in the same period. Rally in metal stocks was seen despite subdued demand in domestic market and continuing sluggishness in key export destinations. Similarly, other Sensex stocks such as YES Bank, Gail India, Eicher Motors, BPCL, UltraTech Cement and Power Grid Corp notched up gains between 37-70 percent each. Others such as Grasim Industries, Zee, Tata Motors, Kotak Bank, ONGC, HDFC Bank, HDFC, Tata Power and Reliance Industries gained between 14-32 percent each. However, select telecom and software shares failed to deliver as rising debt and weak IT spending by global clients prompted investors to flee these counters. Shares of Idea Cellular was the worst affected, tumbling 40 percent while Bharti Infratel tumbled 6.5 percent. In the IT pack, Tech Mahindra, Wipro, Infosys, HCL Technologies and TCS were down 2-21 percent. The broad-based rally in markets can be gauged following stupendous upsurge in a raft of mid and small-cap stocks after several of them showed signs of acceleration in their corporate earnings in past couple of quarters. Unabated rally saw stocks zoom over 800 percent during the year. Companies like Prakash Constrowell, Satkar Finlease, Best Steel, Gayatri Sugars, Donear Industries and KM Sugar Mills etc. skyrocketed 471-800 percent. 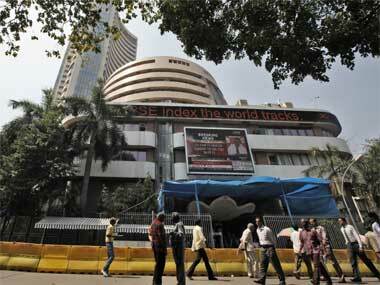 On the sectoral front, BSE Metal index was the top performer, surging 45 percent. Others such as BSE Oil & Gas index jumped 39 percent, while BSE CPSE index rose 23.6 percent and BSE Realty index gained 19.3 percent. However, BSE IT index ended weak, dropping 9 percent followed by a 7.1 percent fall in BSE Tech index and a marginal 0.4 percent weakness in healthcare index. 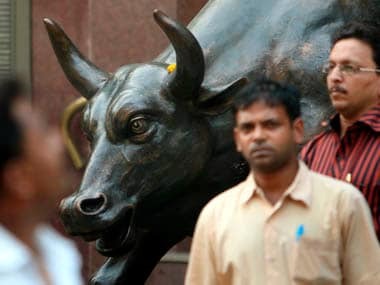 During the year, market capitalisation of BSE shot up 18 percent to Rs 113.58 lakh crore from 96.18 lakh crore, a change of Rs 17.4 lakh crore. Among the blue-chip stocks, m-cap of HDFC Bank was the biggest gainer, rising by Rs 52,103 crore to Rs 317,873. Similarly, ONGC's market-cap increased by Rs 45,857 crore to Rs 248,580 crore, Reliance Industries' rose by Rs 41,443 crore to Rs 340,068 crore and Tata Motors' was higher by Rs 36,182 crore to Rs 167,893 crore. However, m-cap of companies such as Wipro, Infosys, Idea, Lupin, HCL Technoloies and Tech Mahindra etc. among others witnessed erosion in their market-cap. On the outlook front, stock market traders feel bulls will remain on firm footing going ahead on the back of strong foreign fund inflows. Further, with rainfall meeting expectations, corporate earning performance expected to improve further and GST likely to implemented on its scheduled date, equity market participants see little signs of a bearish performance. However, analysts are also mindful of a likely rate hike in US later this year and global slowdown worries, which could hurt the market sentiment in patches. 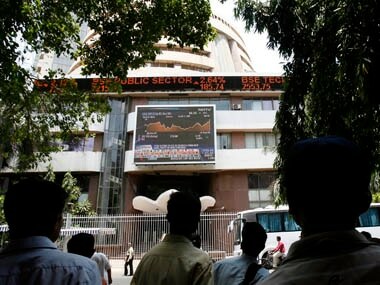 All in all, both Sensex & Nifty are headed for fresh highs going ahead, say analysts.